APROPOS the World Cup and the embarrassing rehearsal of the Dying Swan by Arjen Robben (among other aspirant Anna Pavlovas), I was reflecting on the days when lads did not need to feign near death experiences after a good puck in the mouth or a running kick up the backside. Soccer is famous for its legendary hard men: ‘Chopper’ Harris, Tommy Smith, Norman ‘Bites Yer Legs’ Hunter, and not behind the door was our own John Giles. Giles once took umbrage when his chum Eamon Dunphy alluded to his past reputation that he was well known for being able to “look after himself”. The embarrassment of Giles and other old-timers at the antics of some of the overpaid brats who play top level soccer now is palpable. Our own games have a long list of legendary ‘hard men’. Among my Da’s heroes were the Tipp full-back line of the 1960s – Doyle, Carey, Maher – better known collectively as ‘Hell’s Kitchen’. There are numerous anecdotes about them but my favourite is when they were playing Cork one time. Cork had a newish team and Carey remarked to Doyle as their unfamiliar full-forwards ran towards them to take up their positions that they looked small. “Lower the blade Ciarán,” was Doyle’s sagely riposte. My Uncle Phil once played football for Dublin against Greg Hughes, the Offaly full-back in the 1960s who was succeeded by the possibly even tougher Paddy ‘The Iron Man from Rhode’ McCormack. Phil got a thump in the back of the head as an introduction to proceedings and spent the rest of the match in a bit of a daze. My namesake, Matt had a longer career with the Dublin hurlers and was a more subtle assassin. Sneakier perhaps. Anyway, the fabled skulduggery of the past is mostly gone but has arguably been replaced by a more pernicious culture of seeking to gain advantage by imitating the Robbens of the soccer world. There was much made of Seán Cavanagh’s dragging down of Conor McManus last year which both fuelled Joe Brolly’s attack on his manhood and set the template for how the black card is applied. What Cavanagh did was clearly a foul and deserved a sanction but it is difficult to envisage any player not doing the same if the consequences of not doing so was almost certain to be a goal and the loss of the game. The black card is certainly effective in curbing the sort of pulling and dragging that had ruined many matches where one or other of the teams were more intent on stopping their opponents than trying to beat them by the mad idea of actually playing football. The much lower free count since January testifies to that. Teams like Dublin, Kerry and Mayo – who prefer football to rugby league – are thriving. 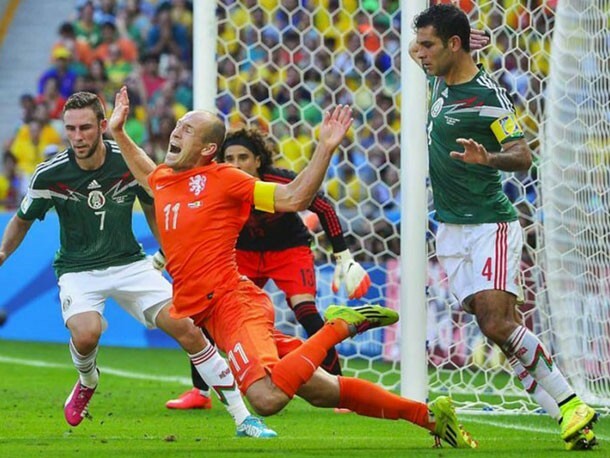 What the black card does not do is to punish diving and time-wasting. That will become more of an issue as the championship advances into the knock-out stages as heretofore the new rules have been applied in the comfort zone of the league and with the second chance for beaten teams in the championship. As the stakes become higher and the battle more intense, expect to see referees being faced with bigger challenges by teams who set out with a negative mindset. While it might be argued that diving and cheating is more prevalent in soccer, at least referees take action if they believe that a player has dived. It is not unusual to see players being carded for acting. I don’t ever recall seeing a Gaelic footballer being punished even though there are a long list of cases where opposing players were sent off because someone feigned injury. So that will be something to keep an eye on as the summer advances and the autumn of high stakes knock-out games approach.